More than 50 years ago, Dr. Shinichi Suzuki recognized the ease with which children learn their native language and began to apply the basic principles of language acquisition to the learning of music. He called his method the Mother-Tongue Approach. The ideas of parent responsibility, loving environment, listening, repetition, and motivation are some of the special features of the Suzuki approach. When a child learns to talk, it is the parents who function as teachers. Parents have an important role as “home teachers” in learning an instrument, too. In the beginning, one parent also learns to play, to better understand the process. The parent attends the child’s lessons and the two practice daily at home. The early years are crucial for developing mental processes and muscle coordination. Listening to music should begin at birth; formal training may begin at age three or four. 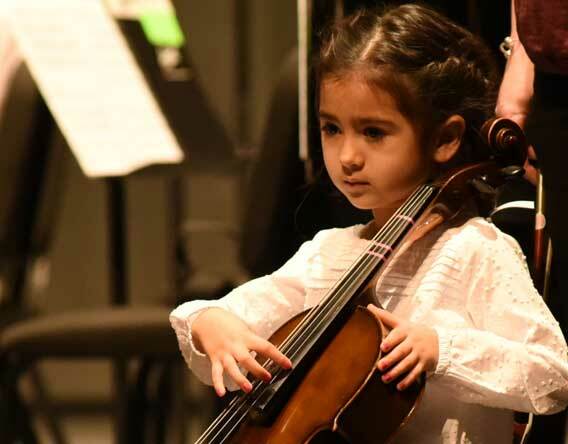 Recent scientific studies stress the importance of early music study in brain development. Children learn words after hearing them spoken hundreds of times. Listening to music every day is important, especially listening to the pieces in the Suzuki repertoire so the child knows them intimately. Constant repetition is essential in learning to play an instrument. Children do not learn a word or a piece of music and then discard it. They add it to their vocabulary or repertoire, gradually using it in new and more sophisticated ways. As with language, the child’s efforts to learn an instrument should be met with sincere praise and encouragement. Each child learns at his/her own rate, building on small steps so that each one can be mastered. This creates an environment of enjoyment for child, parent, and teacher. Children do not practice exercises to learn to talk, but use language for its natural purpose of communication and self-expression. Pieces in the Suzuki repertoire are designed to present one or two new technical problems to be learned in the context of the music rather than through dry technical exercises. Children are taught to read after their ability to talk has been well established. In the same way, children should develop basic technical competence on their instruments before being taught to read music. When music reading is introduced, it is pursued systematically at each lesson. 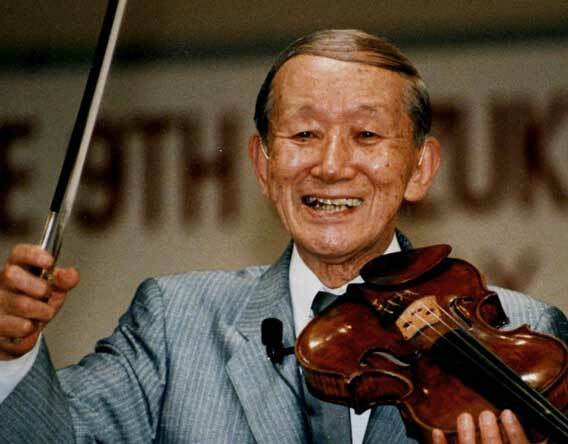 Students of any age can benefit from Suzuki’s ideals of natural technique, tone development, and musicianship. The Preucil School welcomes students who transfer from non-Suzuki backgrounds during any stage of advancement.